If it's been a while since you watched a film on a VHS tape, then perhaps you forgot about what those tapes did to movie soundtracks. There's a little bit of noise, some slight pitch wobble, and mostly, an overall lo-fi glow. I've had great success recording synthesizers to VHS, so it seemed only natural to record drum samples with my VCR and build some retro-vibe drum kits. 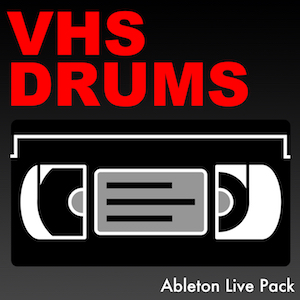 The result is the VHS DRUMS Ableton Live Pack. A collection of 600 drum samples, recorded to VHS tapes and then back into Ableton Live. Each drum has the characteristic charm of old VHS movies. Contains 30 Ableton Live Drum Racks. The 600 drum samples come from a wide range of sources: vintage drum machines, synthesizers, and acoustic samples. They were chosen for their 1980's vibe. Some are signature sounds of the decade, others were pre-processed with effects like gated reverbs that epitomize that 80's sound. After the drums were carefully edited and cropped, I used my VCR to record them over an old copy of Pump Up the Volume, starring Christian Slater (I'm pretty sure that movie added to the sonic power of this Pack!). 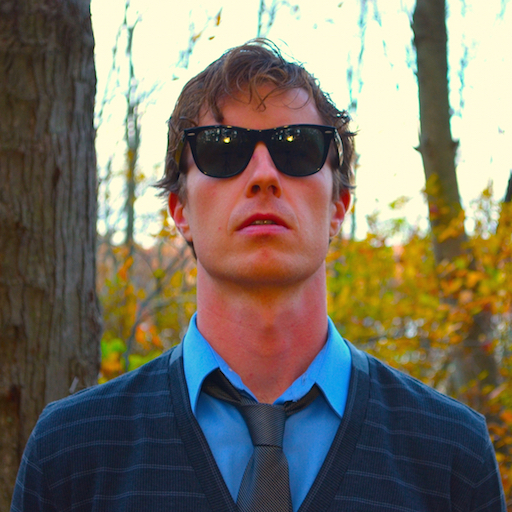 From there, the drums were resampled into Ableton Live, where the slicing, chopping, and cropping process began again. In the Project folder, you'll find all 600 VHS-laced Drum hits organized by type (snare, kick, closed hat, open hat, tom, percussion, cymbal, clap) within the Samples folder. Even if you aren't an Ableton Live user, you can make use of these samples in your DAW of choice. You'll find the 30 Ableton Live Drum Racks within the Presets folder, divided into a Kits folder and a Selector folder. The Kits folder has 21 immediately playable Drum Racks. Each of the 16 drums are fully customizable with their own Macro Controls. The presets were loving named after 80's movie characters. 21 Unique Drum Racks, ready to play, and each sound can be customized with the Macro Controls. The Selector folder has 9 Racks, each loaded with all the samples of each type of drum. You can quickly audition every kick, snare, tom, etc with a turn of the Selector Macro. There are 9 Selector Instruments that allow you to cycle through the entire collection of each drum type. I'm extremely happy with how VHS DRUMS came out. For so long I've wanted a nostalgia-drench collection of 80's style drums. With 600 samples to choose from, so many different styles and energy levels are represented. As with all of my products, I completely stand behind VHS DRUMS. If you are at all dissatisfied, let me know and I will get you your money back. And as a sign of good faith, you can keep the Pack. Thanks for reading. Have fun and make some great music with VHS DRUMS! Sometimes tough sacrifices need to be made. But I think recording over Pump Up the Volume for the VHS DRUMS Ableton Live Pack gives the collection that special 80’s magic I was looking for! Trash Picnic sent me a track that makes use of the VHS DRUMS Ableton Live Pack, as well as the Micro Cassette Ableton Live Pack. It’s a super cool, mellow song that does a nice job of showcasing both packs. Enjoy!